This one's a real goodie... (get it here!) I highly recommend it with cheddar and tomatoes. Tonight I'm going to attempt to go out and do some real-world stuff after killing myself all week. Drinking some stress away I hope! Hey Alice :) Marcus told me all about your blog, and I'm totally digging it! Congratulations on getting your portfolio all up and running! 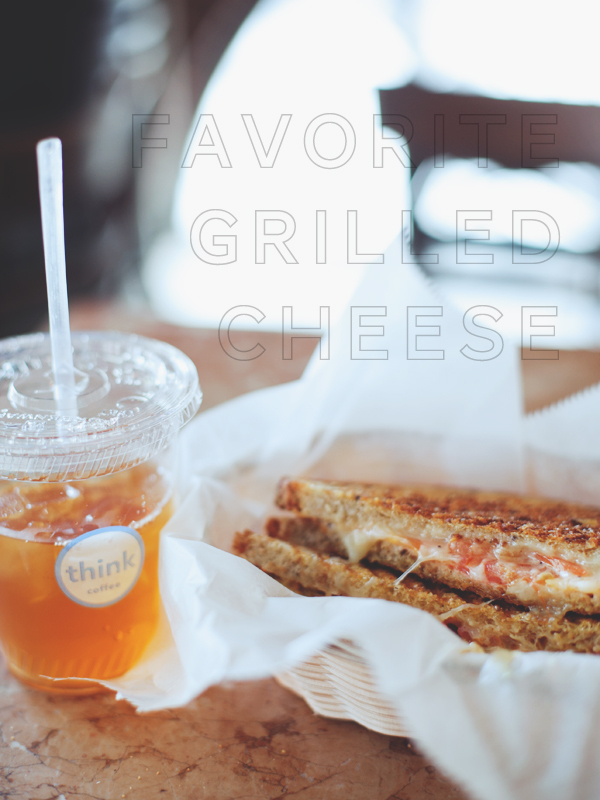 P. S. That grilled cheese looks amazing. Looks like I'll have to kidnap Marcus for some of that! Do you ever put pickles in yours? I swear by it. The best, ever. Hope you have a fun and relaxing night! Oh my goodness that looks absolutely delicious!!! Now I'm hungry lol. I love your blog btw! I just found it yesterday and went through your archives. You take amazing photos! Drink away! Have a good weekend. Omg, think Cafe is one of my most favorite places. Now you've got me itching to go.